Are you ready to play a larger game with love? Come on, I’ll show how. Begin writing Outrageous Love Letters. No, really, begin writing Outrageous Love Letters. Here’s a little background: In every moment we have the opportunity to be open or to be closed. In other words, we have the choice to love the moment open or we choose to remain closed, and the moment remains close. When we love the moment open, something amazing happens. A new reality is born. A new goodness is born. A new idea is born. Something happens. So get this: When we write an Outrageous Love Letters, we actually access the capacity to love the moment open. From here we begin to connect with love; the love intelligence that lives in us, as us, and through us, uniquely. Cool! Yeah? The ongoing practice of writing Outrageous Love Letters works out your love muscles instead of contracting and clenching and staying small. It’s kind of like going to the gym and working out. Like an exercise of the heart. As you continue the practice of writing Outrageous Love Letters, you become aware, yes, you, love are outrageous love letters itself. Really! No, really! That, my loves, is a shift in identity that literally changes everything. So, dear Lover, are you ready to step up and play a larger game? Outrageous Love wants you now! (Whispering) Outrageous Love wants you now! While ordinary love is an emotion, a reaction, and even a strategy of the ego, it is Outrageous Love that is the love that moves the entire process of evolution. So, how can we access the outrageous lover in us? The answer is: by writing outrageous love letters. And with that he invited everyone in the room to write an outrageous love letter. The two lines of people wanting to share their letters at the mics were still long when time ran out. People were deeply moved by that experience and practice. Marc Gafni is brilliant. He is a visionary thinker and wisdom teacher that shares on this magnificent interview what love is really about and how you can create something outstanding with your partner…..and he calls it Outrageous Love. You learn the 3 Mistakes people make in love and gives us strategies we can begin right now to create more love and more passion in our lives ….and I’ve already started one of his strategies and I love the difference it’s made in my life. The abundant love that’s available to you if you’re open to it…… and how to get it! In April 2014, Dr. Marc Gafni gave this keynote “The Wounds of Love and Transforming our World” at the WOWTalksLive. WOW stands for “Women in Wellness” and The WOW Talks brings together hundreds of women and brave, courageous men for the purpose of connecting, collaborating, and celebrating. Dr. Gafni joined speakers Dr. John Gray, famed author of “Men Are From Mars, Women Are From Venus”, Dr. Leslie Hewitt, author of “The New Glossary”, and others on an inspiring speaker lineup. He was introduced by Tbird Luv and his talk received standing ovations. 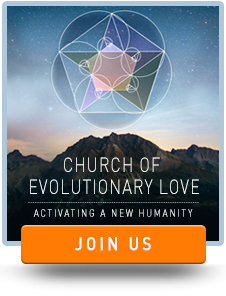 In 2013, Marc Gafni held two Dharma Circle Teachings on Outrageous Love in San Francisco. This recording is from Marc Gafni’s teachings with the Circle of Venwoude. You have to do it yourself, but you don’t have to do it alone. The Circle is the group of people living at, or connected with, Venwoude Integral Practice Community. They have chosen to be on the Path together, to continuously deepen and evolve their Practice. Some are together for more than 15 years, others joined in recently. There is openness, support and involvement and deep gratitude. We look for cutting edge teachings and teachers and we invite them to study with us as teachers in residence. In Dr. Marc Gafni we found both the greatness of vision and the depth of LOVE, that challenges us and inspires us. 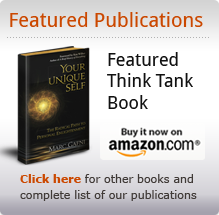 Below you will find a series of fantastic and challenging sessions that Marc Gafni offers monthly to the Circle. What you’ll hear is the unplugged rendering of this beautiful material.